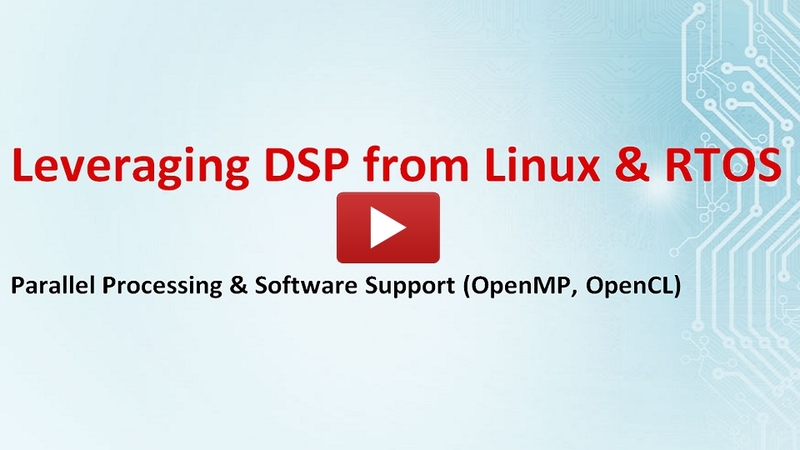 This module discusses how to leverage DSP capabilities from both Linux and TI RTOS. It provides an introduction to parallel processing, which is a programming technique that can be used to divide instructions among multiple processors in DSP + ARM SoC devices. Texas Instruments provides software support for parallel processing including OpenMP and OpenCL.